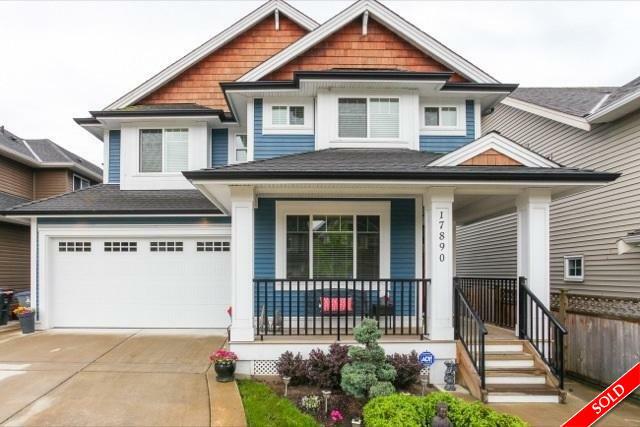 Description: Custom built, Clean, 5 bedroom, 4 bathroom 3 level home in sought after Provinceton. Main features: Open foyer leading to Living/Great room with high ceilings, Large windows offering abundance of natural light, Gas fireplace with stonework, beautiful kitchen with granite counters, top of the line S/S appliances, Large Island, nook and den. Above: Master bedroom with Vaulted ceilings, walk in closet, ensuite, 3 more bedrooms, bathroom and laundry. Below: Huge media room and one bedroom unathorized suite with laminate floors finished to same quality as main house. Extensive use of real hardwood floors on main and above finished off with custom crown moulding and baseboard. South facing fenced yard. Call for your private tour.